Dr. Mindy Lam, DPM was born in Washington DC in 1978 and graduated from University of Maryland Scholars department with a bachelor degree in science in 2000. Following graduation, she attended Temple University School of Podiatric Medicine in Philadelphia and graduated in 2004 with a Doctor of Podiatric Medicine degree. 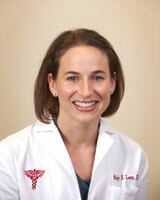 She then completed a three year surgical residency at Crozer hospital outside of Philadelphia, PA. There, she was able to gain extensive clinical experience and had a broad surgical exposure with a multidisciplinary team approach. Dr. Lam's services include non-surgical and surgical treatments. Conservative treatment will always be attempted before invasive procedures are planned. Every treatment goal is geared towards restoring an optimal functioning, and pain free foot. It is important to Dr. Lam that foot pain does not limit your desired activities. In her free time, she can be found enjoying the outdoors with her husband and 3 children. Janet has been at FCCP since the beginning, and continues to be an integral part of the office. 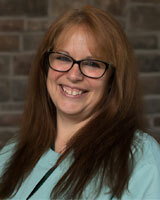 She is fun-loving, caring, and tries to make sure every patient has a positve experience here. Janet enjoys spending her spare time with her husband, children and grand children.